While we all know just how beautiful Michigan is, sometimes it is nice to go see a part of the country that is unique and beautiful in its own way. We’ve talked about trips to the Rocky Mountains, the Black Hills, and other areas, and today we want to discuss some of the great reasons why you might want to go check out the Pacific Northwest with your group! Seattle, Portland, and other areas of the Pacific Northwest have become popular vacation and business hubs, which means that there is always a lot to do. No matter what kind of group you are a part of, Ground Travel Specialist has the charter bus rentals that make travelling with a large number of people as easy as possible. Contact us today to learn more about our vehicles and our safe drivers, then book your bus for your next trip. We have safely transported sports teams, businesses, and many other groups to many different spots all across the country and to Canada. When you need a reliable, safe, and clean charter bus in the Detroit area, Ground Travel Specialist is the first and only call you need to make. Seattle is one of America’s most beautiful cities and it has played an important role in shaping culture and technology in America and abroad. Home to a diverse population, Seattle is a relatively quiet city despite its size. Whether you want to see the big tourist sites or go off the beaten path, Seattle has something for every group. Whether your group loves to spend time visiting the most famous locations in each city you travel to, or you are heading to Seattle for a work conference that confines you to the city itself, there are many things to do and see. Built for the World’s Fair in 1962, the Space Needle was, at the time, the tallest building on the west side of the Mississippi. From the top of the Space Needle, there are amazing views of the city, two mountain ranges (the Cascades and the Olympic mountains) Puget Sound, and Mount Rainier. Recent renovations have only made the Space Needle more impressive and fun. With giant glass windows on each level, visitors are treated to views that are even more incredible than they were before. One of the oldest farmers markets still in operation in the United States, the Pike Place Market complex is a gigantic market full of everything from the freshest salmon (thrown by expert fishmongers!) to delicious vegetables, beautiful flowers, and handmade arts and crafts. Even if you think you don’t need to buy anything, just seeing and walking through the market is an experience you won’t find anywhere else. And it’s a safe bet for us to say that one of the many stalls will have something that you just have to have. Seattle has one of the largest ferry systems in the world. Whether you are looking for a quick trip or you want a nice, leisurely ride, there is a ferry service that is perfect for you. There is really nothing like Puget Sound, and seeing it from the water is an experience that you’ll never forget. One of the best parts about Seattle is how close it is to real wilderness. Travel in nearly any direction and you’ll quickly find yourself either next to the Pacific Ocean or into some of the most beautiful mountains you’ve ever seen. We could fill an entire entry of things you can do outside in the Pacific Northwest, so trust us when we say that there is no better place to experience peace, quiet, and fresh air than by spending time in the outdoors near Seattle. 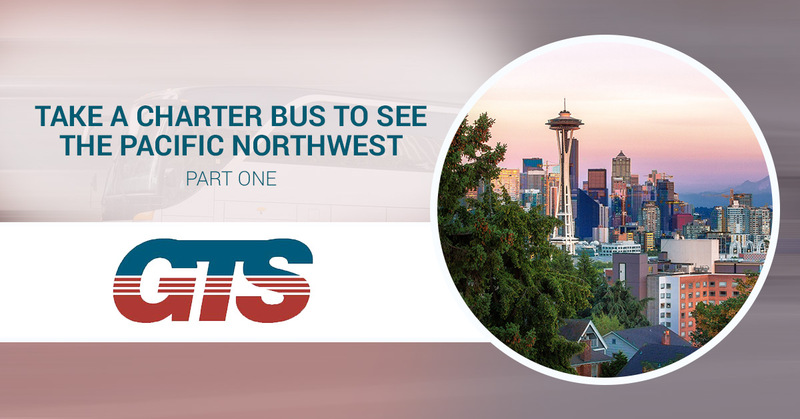 Contact Ground Travel Specialist today to start planning your charter bus trip to the Pacific Northwest. We have proudly and safely driven many people from Detroit to their destinations all over the country in our clean, comfortable charter buses, and we would love to take your group wherever you want to go. Give us a call to learn more about our rates, as well as all the other reasons why we should be your first choice for charter bus rentals.